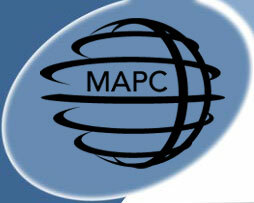 M.A.P.C, The Measurement and Positioning Company, supplies equipment, computer software and support services to the Surveying, Construction and related industries. MAPC is based in Newcastle NSW, where our head office and showroom are located, plus we have a mobile Sales Representative based in Canberra, ACT. MAPC are authorised dealers for Nikon instruments, Spectra Precision GPS and Bear Scientific accessories. MAPC also offers other ranges of products - see below for a selection of brands, see product pages for full range. MAPC also offers support services for selected software and instruments. The site will continue to evolve over time. We welcome any and all comments and/or feedback on our products, services and website. We strive to provide high quality products, competitive prices and reliable service for our customers. The director of The Measurement and Positioning Company, Rayna Bartsch, has 16 years experience designing and creating computer software for surveyors, civil engineers, construction companies and councils as well as experience with retailing of surveying instruments. MAPC, established July 2006, serves the construction and surveying professionals within NSW and the ACT, providing equipment, software, systems and support. Our aim is to revolutionise the purchasing of surveying accessories, by providing on-line ordering and payments, as well as providing traditional service.